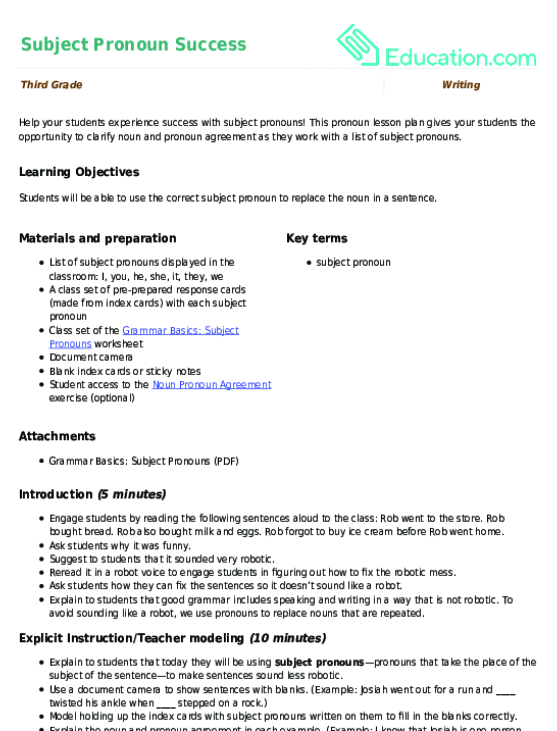 This pronoun lesson plan gives your students the opportunity to clarify noun and pronoun agreement as they work with a list of subject pronouns. 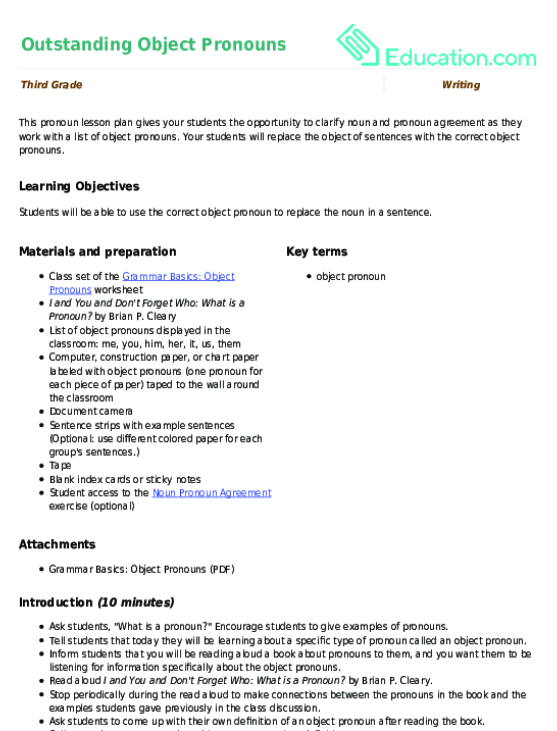 This pronoun lesson plan gives your students the opportunity to clarify noun and pronoun agreement as they work with a list of object pronouns. Find out by giving them this short pronoun quiz. 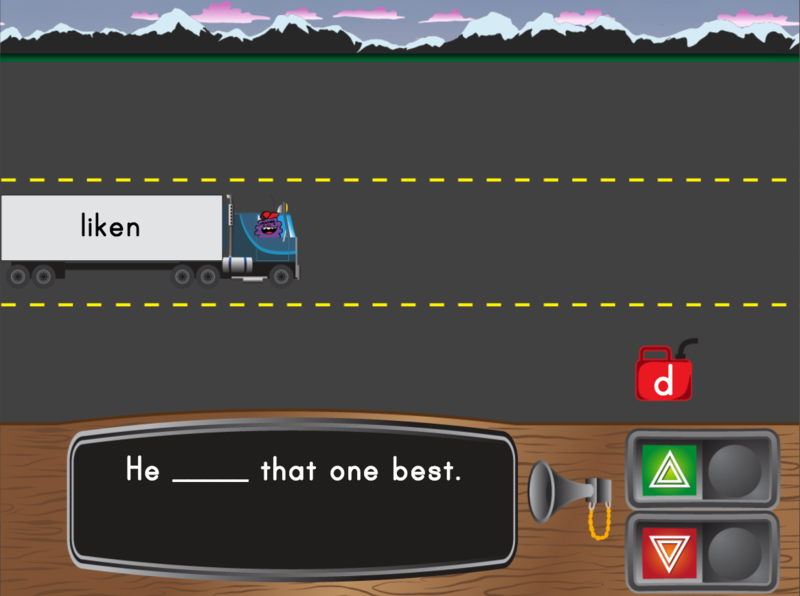 Kids will get better at subject and verb agreement in this fast-paced truck game. Use this exercise with your students to practise subject-verb agreement with action verbs. Use this exercise with your students to practise subject-verb agreement. Use this exercise with your students to practise subject-verb agreement by choosing the subject that agrees with the verb. Use this exercise with your students to practise identifying noun phrases in a sentence. Your students will then categorize the noun phrases as examples of realism or fantasy.